The Social Organization: How to develop employee connections and relationships for improved business performance, focuses on how we can make organizations and the work of their people as effective as possible. This new book, with Foreword by Prof. Dave Ulrich, should be very helpful as, despite the importance of organizational relationships, few other books explain how organizations can develop social capital and the benefits of doing this. Since the point of performance in business is now even more definitely the team, and other forms of group, The Social Organization demonstrates how we need to change our people and management practices to become more social. I hope the book will be useful to you in doing this. 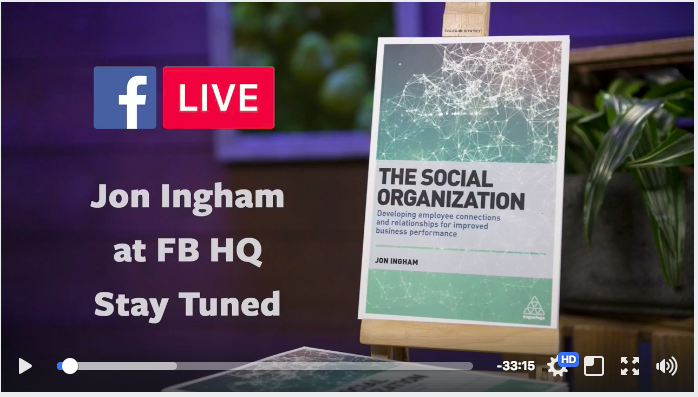 ​Jon Ingham is interviewed about his new book The Social Organization by Workplace by Facebook, one of the main social technologies Jon writes about in his book, and which are picking up loads of new clients with great adoption levels. Explore some of Jon's ideas, including the role of communities and other social groups in organization design, and how social technologies can be aligned with these types of group, as well as other factors that can make them work effectively. The Social Organization is recommended by CIPD's People Management as a Book of the Year 2017. ​People have evolved to live in groups and our organizations succeed or fail based mainly upon group performance. However most of our management activities focus on individuals. Shifting focus requires us to incorporate new group structures and to align the design of HR processes as well as workplaces and social / digital technologies with these new groups. ​At conferences such as HR Vision Amsterdam Jon Ingham describes and provides examples of social organizations in which groups provide the basis for effectiveness and competitiveness. He reviews the role of HR, working in cooperation with other social leaders, in facilitating changes in perspective and management practices. Delegates learn how to unleash the power of our social brains and social networks to transform organizational performance. Author, independent consultant, trainer, keynote speaker and analyst, Jon Ingham specializes in helping companies apply academic research, new technology and innovation to the way they generate competitive advantage through their people. Offering support across the full breadth of people management and organization development, he responds to the increasingly profound transformations underway in the world of work. ​Jon's many clients include TUI (Thomson Holidays), BT Global Services, Novo Nordisk, the Learning & Skills Council, Aviva, AXA, Domestic & General, HSBC, QBE, Lloyds Banking Group, VTB, National Bank of Abu Dhabi, Barilla (Italy), Coca Cola Bottling Indonesia, OSI Food Services, GSK, Syngenta and RasGas (Qatar). "I started my career working in chemical engineering before moving into IT, change management and HR. One of the questions I asked was why, if the point of performance in business is increasingly the team, did so much of what we focused on in HR concern the performance of individuals? A related question was how, if we needed to change our people practices to focus more on teams, could we best achieve this?" "I wrote my first book on managing people to create human capital which I defined as the value created for an organization by its people. Although Strategic Human Capital Management,concentrated on managing people for human capital I did also mention that an even more important organizational quality is social capital - the value of the social relationships, teaming and collaboration between the people working in an organization." 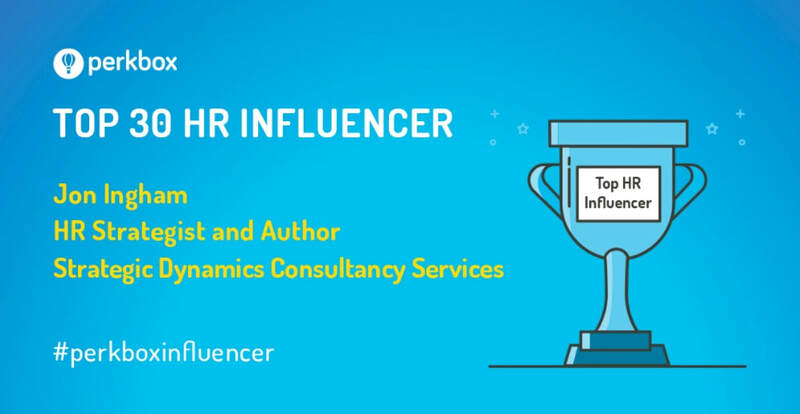 Jon is frequently listed as a key influencer in HR and was recently listed in Sage's top 100 Global Business Influencers and Engagedly's Top 100 HR Influencers of 2018.sistently innovating and inspiring others to create fulfilling workplaces. ​It’s indisputable that we are better as a team than as a collection of individuals. Collaboration is at the heart of most successes. Yet traditional HR has often led to organisations which suppress, or at best ignore, rather than nurture this key asset. Work and the workplace today is dramatically different from the turn of the millennium and in a competitive knowledge-based economy being successful requires an agile HR with a new focus. This book offers precisely that.